Meadow Hill Education and Arts Nursery in Bolton has established itself of the last 30 years as one of the top Nurseries in the Country. In 2012/2013, which was the last OFSTED inspection, it gained OUTSTANDING in ALL areas. Meadow Hill Education and Arts is solely owned by Sonia Joy Biggs who is a Life Time Member of the Royal Academy of Dance. The Managing Staff and Teacher have been at Meadow Hill for between 10 and 24 years, which gives a core stability of excellence. Education, music, sport and art coupled with a wonderful dance programme, and the experience of yearly theatre productions, is a major factor in building self worth and confidence which will embrace through childhood to adulthood. We also have two excellent sports masters for cricket, football, tennis and hockey for our pre-school year. The Meadow Hill Education and Arts Nursery journey begins at birth through to pre-school, where we prepare the children for the next chapter of their life into school. All our children are encouraged to shine as an individual and build their confidence and self-esteem. My Vice Principal, Mrs Luke, has graced Meadow Hill Education and Arts Nursery with enthusiasm, empathy and is such a vibrant personality to guide the children and team in all aspects. Mrs Dann has been the king pin for education for over 25 years. My Deputy Vice Principal, Mrs Smith, is bubbly and leads the way with her expanded knowledge. She was also once a baby at Meadow Hill (unique). Meadow Hill Education and Arts Nursery is well situated just off Junction 6 on the M60 towards Bolton. Meadow Hill is set in a beautiful detached Victorian property set in its own grounds. Read all about us and why we are one of the top education, arts and sports nurseries in the whole of the UK. 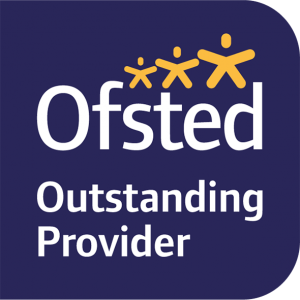 Learn why on our last Ofsted Inspection we are awarded Outstanding in all areas. Meadow Hill Education and Arts updated their cover photo. Meadow Hill Education and Arts updated their profile picture. Copyright © 2018 Meadow Hill Education and Arts Ltd. All rights reserved.